All types of vehicles stored. 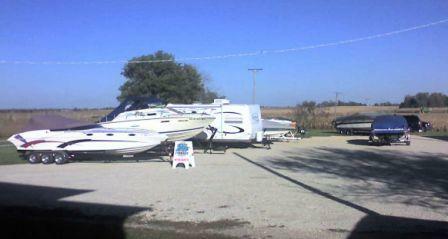 Automobiles, Boats, RVs, Travel Trailers, Pop Ups, Car Haulers, Snowmobile Trailers, Wave Runners and Jet Skis. Ten percent discount offered to new patrons only. Print out coupon below and present at time of contract signing. Current Patrons receive a 10% discount on 6 months of vehicle storage fees when referring a new patron who indicates their name as a referral at contract signing.